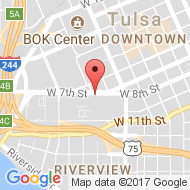 Wirth Law Office is a Tulsa, Oklahoma law firm founded by attorney James M. Wirth, Esq. on January 1, 2010 following his successful tenure at another prominent Tulsa firm. Since then, Wirth Law Office has established satellite offices throughout Northeast Oklahoma. Our legal team now includes a cadre of skilled associate practitioners, each of whom adds powerful capabilities to the practice. Why should you hire the Wirth Law Office? Because you want a successful, balanced attorney you can trust. 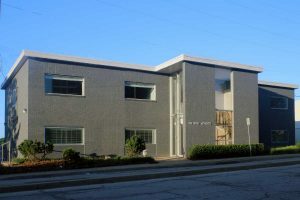 On Oct. 1, 2017, Wirth Law Office moved to a new address. The Wirth Law Office founder and associates have established a track record of creative, tenacious representation in Oklahoma courts. When you retain Wirth Law Office attorneys as your legal counsel, our promise to you is that we will do everything in our power to achieve the best result in your legal matter. Tulsa, Oklahoma attorney James M. Wirth, Esq. has obtained exceptional results for his clients in criminal defense, family law, personal injury, workers’ compensation and other areas of Oklahoma law. This includes but is not limited to jury trial acquittals, six figure settlements and successful appeals, including restoring a father’s terminated parental rights on appeal to the Oklahoma Supreme Court. Although these successes demonstrate his legal expertise, they do not guarantee results on any future case. Every case is different and must be approached according to the specific facts and circumstances of that case. Like many things in life, optimal legal representation requires balance between experience and obsolescence, between zealous advocacy and obnoxiousness, and between success and availability. Wirth Law Office founder James M. Wirth has recognized these distinctions. He understands the difficulties that most attorneys and law firms encounter in properly balancing aggressive representation with diplomatic stature. Ideal legal representation requires practitioners who are able to reconcile these distinctions. 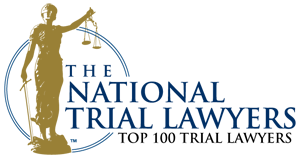 This law firm was founded with that unique goal in mind: we strive to provide ideal representation that balances the challenging requirements of a successful legal endeavor. A lawyer’s job is to advocate for his or her client’s expressed interests. 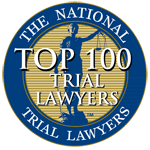 Such an attorney–client relationship requires cooperation and trust. Although some attorneys may simply demand that their clients have faith in them, the Wirth Law Office believes earned trust is an essential element of proper legal representation — trust not only in the attorney’s character but also his or her aptitude, knowledge and skill. We intend to earn your trust. The Wirth Law Office offers free initial legal consultations with the firm’s founder, attorney James M. Wirth, in order to provide an opportunity for the firm to earn your trust prior to your investment in a retainer fee. If you would like a free consultation with a Tulsa, Oklahoma lawyer, call the Wirth Law Office – Tulsa at (918) 879-1681 or toll free at (888) Wirth-Law. If you prefer written correspondence, you may submit a question through the form at the top right of this page.